This is definitely one of those "it's better to have it and not need it, than to need it and not have it" kind of things. The last thing we really wanted to deal with was a cell phone, but we decided it made sense to bring one. We chose to suspend both of our cell phone numbers with AT&T. They have a Reduced Rate Suspend (RRS) option, which basically means you pay $10 a month to not use your cell phone, but you get to keep your number when you come back. We also picked up an 'international' SIM card from Telestial. 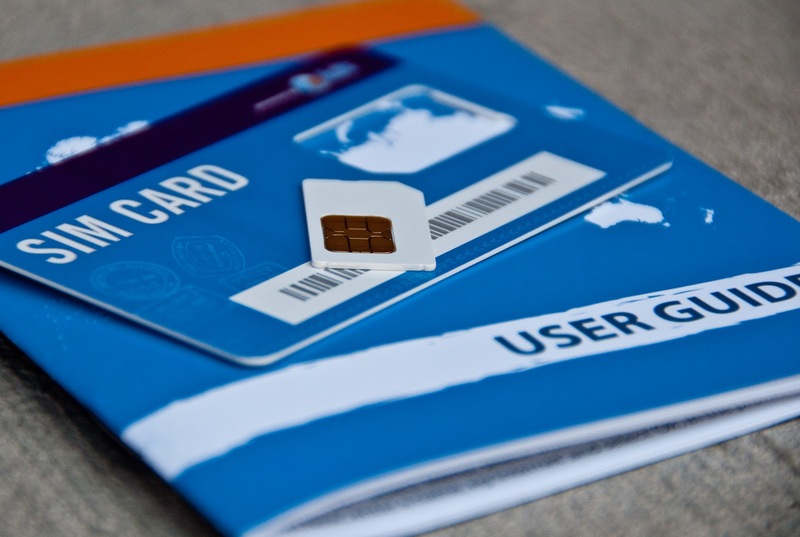 This is a prepaid SIM card that works just about everywhere. This way we save the cost of keeping one of our AT&T numbers active and paying ~$40/month. We purchased their "Passport US Lite SIM Card" which when we bought it was free and included a $5 call credit, you just had to pay $9.90 in shipping (we will have to add some credits to the card or the free credit will expire in a month). It will allow us the ability to use our cell phone in every county we travel to, the downside is the call rate is about $1-$2 per minute, but still cheaper than what AT&T would charge. This should provide us with all the benefits of keeping our home numbers when we return, having a cell phone for an emergency, not having to pay the full monthly charges to AT&T to keep service and have slightly reduced per minute charges when traveling. A few things to keep in mind: in order to use a phone 'around the world' it's best to be a quad-band GSM (850Mhz, 900MHz, 1800MHz, 1900MHz) phone. This allows you to connect to cell networks in just about every country except Japan and South Korea. AT&T and T-Mobile are the GSM carriers in the US, so if you have either you might not need a new phone. The next thing you need is an unlocked phone, one that isn't tied to a specific carrier. In the US when you buy a phone it's typically tied to the carrier (AT&T or T-mobile) and you can't switch out the SIM card. Usually if you have been with the company for a while they'll unlock it for you. Luckily we had an unlocked, quad-band phone that was purchased a few years ago off E-Bay so we didn't have to worry about either of those. Purchasing the Telestial international SIM card has basically been a waste of money (albeit only $10 for shipping). So far we've purchased prepaid SIM cards in India as well as Kenya and have found the process rather straightforward and rates are significantly better than using the Telestial SIM. We are paying cents vs dollars per minute when using a prepaid SIM vs. the Telestial international. Plus both prepaid SIMs we have purchased had international roaming and even that was cheaper than Telestial. In India the process to get a prepaid SIM involved getting a copy of your passport and handing over a visa photo (supposedly to stop terrorists from using the prepaid SIMs). In Kenya I handed over 200 KES and walked out with a SIM card and 100 KES credit. Going forward we'll be going the prepaid local SIM route and are tossing the international one.